How do you enhance the red carpet experience? 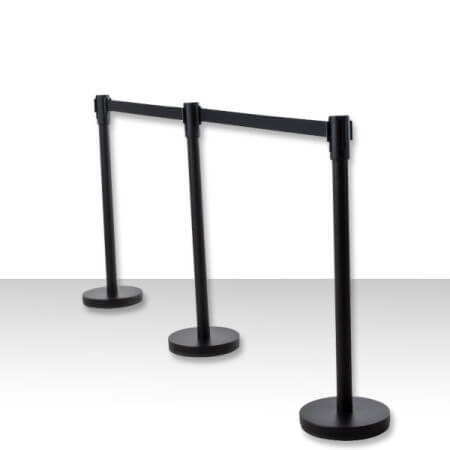 Add stanchions and velvet rope for the perfect finishing touch! 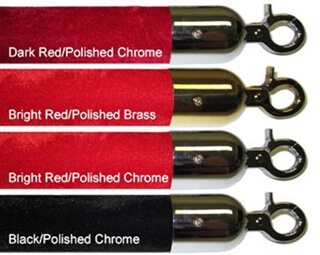 Brass stanchions, stainless steel stanchions and red or black velvet rope is available. 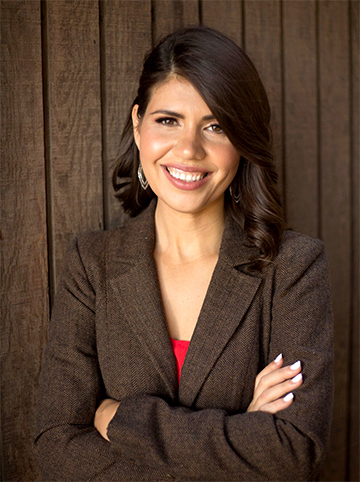 You can rent these items in the Los Angeles area or purchase them. Beautiful, lightweight velour over a poly-fill 1 1/2 inch diameter rope, 6 feet in length. Perfect for car shows, red carpet events or any upscale function you are having. Precision retracting spring unit allows 2” standard belt to extend from 0 to 7.5 Ft.
Locking-belt end to avoid accidental release and belt braking system for slow-retraction. Black post with black, blue or red belt. Price is for 1 post. 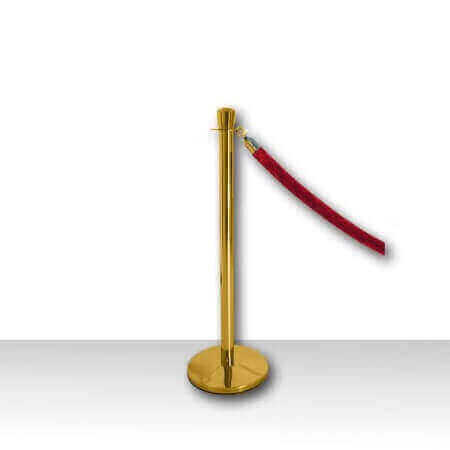 Add beautiful brass stanchions to your red-carpet event for that "Hollywood", VIP and luxurious feel. These polished brass posts are of quality construction. 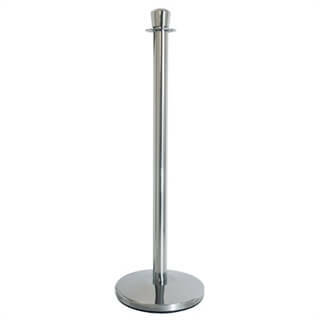 Price includes 1 stanchion post. Rope sold separately.